I saw Jodie Foster’s latest movie recently. Though I’m not a film critic, let me offer this piece of advice – wait for the DVD. “The Brave One” looks like the studio took a knife to Neil Jordan’s dark vision of a conflicted avenger. The director’s cut, I’m sure, will be much different from the theatrical release. One thing that will remain, however, is the music selection. Sarah McLachlan’s “Answer” is used to stunning effect. The song (one I’d overlooked from 2003’s “Afterglow”) perfectly frames the Foster character’s heartbreak at the loss of her fiancé in a brutal attack, and her soul’s slow re-emergence at film’s end. McLachlan’s music is ready-made for the cinema – remember how “Angel” propelled “City of Angels” a few years back? 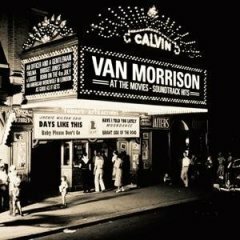 But Van Morrison is film’s most reliable go-to guy, appearing in so many soundtracks that earlier this year he released an entire album of his movie appearances. You don’t really hear it until the credits roll, but it perfectly captures the film’s celebrity dementia zeitgeist. Choose the right music, and a movie transcends the ordinary. “You’ve Got Mail” is just another chick flick, until Harry Nilsson’s version of “Somewhere Over the Rainbow” sends it soaring above the New York City skyline. Ditto for “Just Like Heaven” – Amos Lee’s “Colors” (the stripped-down acoustic version, not the more florid take from Lee’s debut CD) made me believe the ethereal love story, if only for a moment. But the champion of song placement has to be Liberty Mutual – yes, the insurance company. They’ve mad a series of ads that’s elevated a band called Hem to new heights. “Is This the Part Where You Let Go,” like “Half Acre” before it, perfectly marries music to the theme of good people doing good deeds. I can’t take my eyes from the screen. I’m watching commercials for the MUSIC? What is the world coming to? More to the point, what are we doing this weekend? Thursday: New Kind of Blue, Sophie & Zeke’s – Emily Lanier’s been fronting this band for some time, but lately she’s begun to branch out. Her own Jazz Ensemble is a regular Friday attraction at the Quechee Inn, and she stops by Canoe Club every now and again. If you want to keep up with Emily’s growing calendar, check out her new web site – www.emilylanierjazz.com – and sample some of her wonderful singing while you’re there. Friday: Amanda Carr, Elixir – Tonight kicks off a two-day festival of world-class jazz in White River Junction, beginning with Carr, a fine Boston vocalist who has performed with big bands (Artie Shaw, Harry James) and received glowing notices from the likes of Nat Hentoff. She even sang the national anthem when the All-Star Game was last played at Fenway Park. Tomorrow, Michael Zsoldos, who studied with Brandon Marsalis, plays saxophone classics. Oh, and the food is as scintillating as the music. Saturday: Shawnn Monteiro, Proctor Academy – More jazz – sensing a theme here? Saturday provides an early peek at this year’s “Jazz on a Sunday Afternoon” series, returning again to Eastman in December, with food by Bistro Nouveau. Monteiro is the real deal, the progeny of legendary jazz bassist Jimmy Woode. She’s joined by the JOSA Ensemble, led by master multitasker and top-flight pianist Bill Wightman. In addition to producing the JOSA shows and playing, Wightman’s Proctor’s music director. Sunday: Vermont Fine Furniture Festival, Woodstock Union Arena – An assortment of rock, folk and baroque colors this two-day affair, which begins Saturday. Today, harpist Pat Sagar performs, followed by Upstream, an Americana group featuring rich harmonies and fine picking. Later on, it’s Juke Joynt, a Gully Boys spin-off that mixes originals with classic rock and blues. Tuesday: Ballet de Folklorico de Mexico, Lebanon Opera House – The thinking person’s Los Lonely Boys? Not really – they’re a dance troupe. They’ve been around for over 50 years, bringing the indigenous traditions of Mexico to stages all over the world. For the younger crowd, this colorful pageant is re-packaged Wednesday morning, as part of LOH’s educational YES! series. Wednesday: Amos Lee, Iron Horse – He’s one eclectic guy; Lee counts both Stevie Wonder and John Prine as influences. He most resembles another of his idols, Bill Withers. But he tends to be folky where Withers is funky, even though Lee records with Blue Note Records, a jazz/blues standard bearer if there ever was one.